The first part of the “Dancing With the Stars” season finale on Monday night was intense and contentious before the performances even began. According TMZ, security at the show had to be heightened after a white powder was discovered at CBS Studios in Los Angeles late on Friday. Sources at the show said that it appeared as though controversial contestant Bristol Palin was the intended target. Dancing with the Stars executive producer Conrad Green is the latest person to speak out in support of Bristol Palin. After the shocking elimination of Brandy this week, many DWTS fans have questioned whether Bristol deserved to continue on to the finals. Brandy was the better dancer and was a front runner from week 1 of the season. Bristol struggled to deliver solid performances and often found herself in last place. This week fans votes sent Bristol to the finals and Brandy out of the competition. Green tells People magazine that Bristol deserves to be in the competition. He also denies suggestions that the show, and not fan votes, is behind the 21-year-old single mom surviving week after week. “She deserves it. And a significant portion of our viewing audience believes that, too,” says Green. Although Brandy consistently landed at the top of the scoreboard throughout the season, she was eliminated from Dancing with the Stars last night. The singer cried when she learned she wasn’t headed to the finals. “I don’t know how to feel right now. It hasn’t processed yet for me,” Brandy admitted. Bristol Palin, who remained at the bottom of the scoreboard for most of the season, was expected to go home, but fan’s votes saved her. “People vote and their voices count. I love the fact that the show represents that. It represents the people’s choice,” said Brandy’s pro partner Maksim Chmerkovskiy. Bristol is headed to next week’s finale with Kyle Massey and Jennifer Grey. Ballas and Palin will dance to a TV show theme song next week. The Season 11 star-studded cast and their professional partners get ready to break in their dancing shoes on ABC’s “Dancing with the Stars” for the long awaited two-hour season premiere, MONDAY, SEPTEMBER 20 (8:00-10:01 p.m., ET) on the ABC Television Network. · MICHAEL BOLTON, Grammy ® Award-winning singer, teams up with CHELSIE HIGHTOWER, who returns for her fourth season. · BRANDY, actress and singer, joins MAKSIM CHMERKOVSKIY, who is back for his ninth season. · MARGARET CHO, comedienne and actress, partners with LOUIS VAN AMSTEL, who returns for his seventh season. · RICK FOX, former NBA champion, teams up with two-time champ CHERYL BURKE, who is back for her tenth season. · JENNIFER GREY, beloved film and television actress, joins two-time mirror ball champion DEREK HOUGH for his seventh season. · DAVID HASSELHOFF, international superstar, teams up with Season 9 champion KYM JOHNSON, who returns to “Dancing with the Stars” for her eighth season. · FLORENCE HENDERSON, America’s favorite mom, joins CORKY BALLAS for his second season on the show. · KYLE MASSEY, television teen star, partners up with LACEY SCHWIMMER, who is back for her third season. · BRISTOL PALIN, teen advocate and Alaska’s first daughter, teams up with two-time champ MARK BALLAS, who returns for his seventh season. · AUDRINA PATRIDGE, MTV reality star, joins TONY DOVOLANI, who is back for his tenth season. · KURT WARNER, former pro-NFL quarterback, joins ANNA TREBUNSKAYA, who returns for her sixth season. All 12 teams will showcase their fancy footwork for the first time on MONDAY, SEPTEMBER 20 (8:00-10:01 p.m., ET). The first elimination will take place in week one with a two-hour show, TUESDAY, SEPTEMBER 21 (8:00-10:00 p.m., ET) on the season premiere of “Dancing with the Stars the Results Show.” Music legend Santana and rock band Daughtry are set to perform. Hosted by Tom Bergeron (“America’s Funniest Home Videos”) and Brooke Burke (“Dancing with the Stars” Season 7 champion), the celebrities perform choreographed dance routines which will be judged by renowned Ballroom judge Len Goodman and dancer/choreographers Bruno Tonioli and Carrie Ann Inaba. 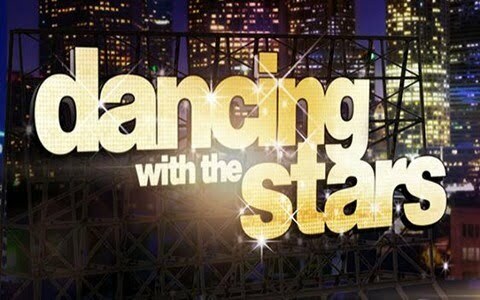 “Dancing with the Stars” is the U.S. version of the international smash hit series, “Strictly Come Dancing.” This version is produced by BBC Worldwide Productions. Conrad Green serves as executive producer and Rob Wade is co-executive producer. Alex Rudzinski directs. “Dancing with the Stars” is broadcast in 720 Progressive (720P), ABC’s selected HDTV format, with 5.1 channel surround sound.